Dr. Ronald L. Schwartz - Schwartz & Gedeon D.D.S., P.C. A native of Rochester, NY, Dr. Schwartz graduated from Cornell University with honors in 1980. He obtained his Doctorate in Dentistry from the University of North Carolina at Chapel Hill School of Dentistry and graduated in 1984. He completed residency training at the Millard Fillmore Hospital in Buffalo and began his private practice in Niagara Falls in 1985. 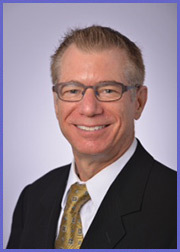 Dr.Schwartz enjoys teaching and is a Clinical Assistant Professor at the University at Buffalo School of Dental Medicine. His position at the University and the numerous continuing education courses he attends, helps him to provide the best and latest techniques Dentistry can offer. He enjoys Crown and Bridge (restoration of missing and broken teeth) and Endodontics (root canal therapy). The recent emphasis of his education is focused on Cosmetic Dentistry and Restoring Implants. Doctor Ron makes Dentistry for Children a special day in their lives. Dr. Schwartz and his wife Debbie have two children, Stephanie and Michael. The Doctor enjoys golf, bowling, skiing, travel and music.